Want your student(s) to have a fun, hands-on, STEAM-based learning experience this summer but worried about covering the cost? 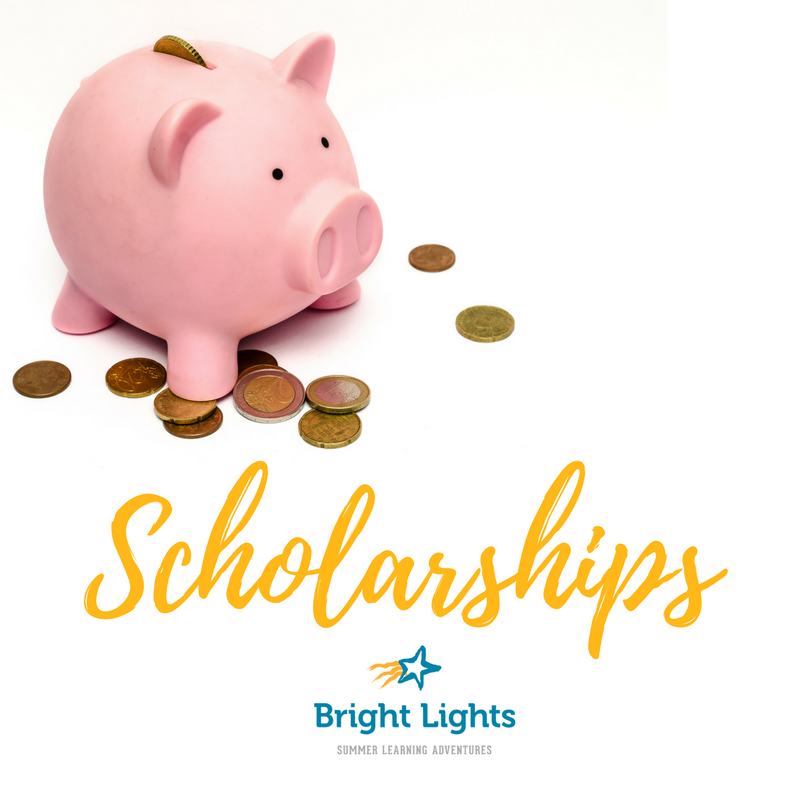 Apply for a Bright Lights scholarship! Thanks to our generous donors throughout the community, we have need-based scholarships available for our Summer 2018 half-day classes and full-day camps. And it’s simple to apply for one: Visit Brightlights.org, choose the class your student(s) wants to take, and during the registration process answer ‘yes’ when asked if you wish to apply for a scholarship. Then, just complete the necessary information and you’re finished! •	Each student is eligible for ONE partial scholarship that can be used toward either one half-day class or one full-day camp during Summer 2018. Depending on the student’s financial need, their scholarship could cover $75 or more of the class/camp cost! More information about the program can be found at https://www.brightlights.org/programs/student-resources/scholarships.html.